If you ever walk across your living room and think it could use a bit of a revamp or redesign, then this is the article for you! We're going to show you 17 amazing spaces that will definitely give you all the inspiration you could possibly need. From minimal masterpieces through to colourful, fun spaces, we think everyone will find some key motifs that they love enough to copy in all of these interior designer-curated spaces. You really won't believe some of the standout features! The sunken look of the sofa area really contrasts with the real height of the room to create an unusual and enticing space. The dark accents work wonders as well! What a charming and fresh little living room! By focusing on colour and unusual accent pieces, the vibe here is young and frivolous. We love it! 3. A sea of neutrals. When a calmer, more considered look is what you want, choosing neutral colours will never be a bad move. Add in some natural wood for the perfect complementary tones too! 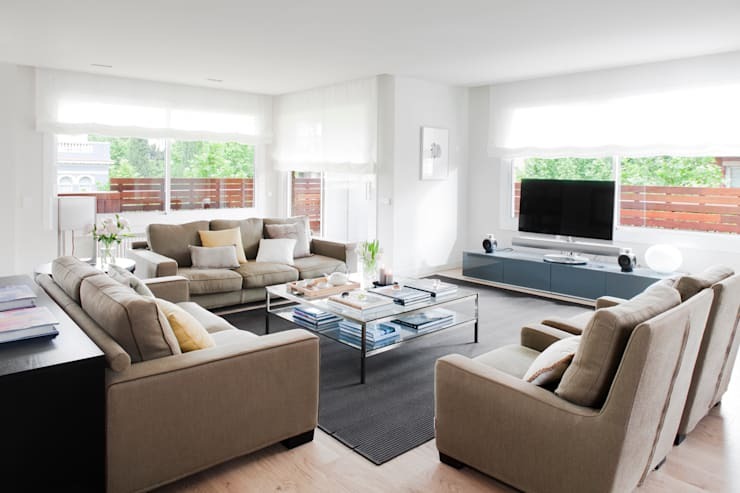 Turning the sofas inwards to form a sociable layout is a great idea that so many people overlook! We know you might have a television, but isn't a little conversation worth enjoying too? White, black and glass have such a stylish and classic look when combined and we think this living room is proof of that! 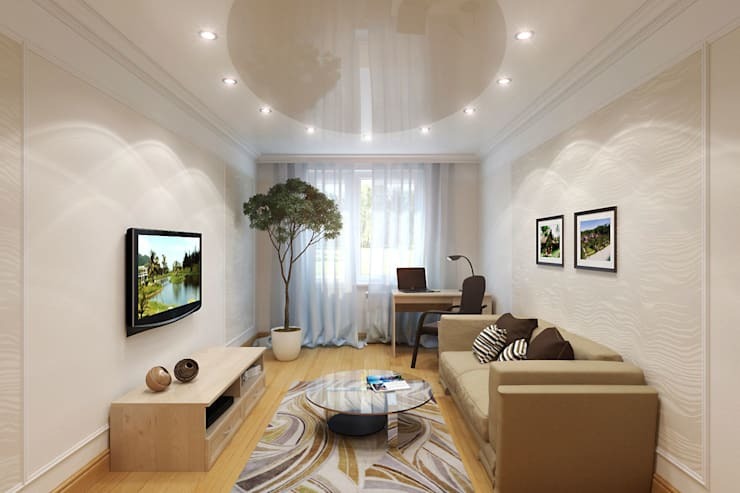 White works well as the main colour, with punchy black accents and a blink and you'll miss it glass coffee table. The brazen use of colour, pattern and unusual furniture here makes for a truly fantastic living room that you don't want to stop exploring! 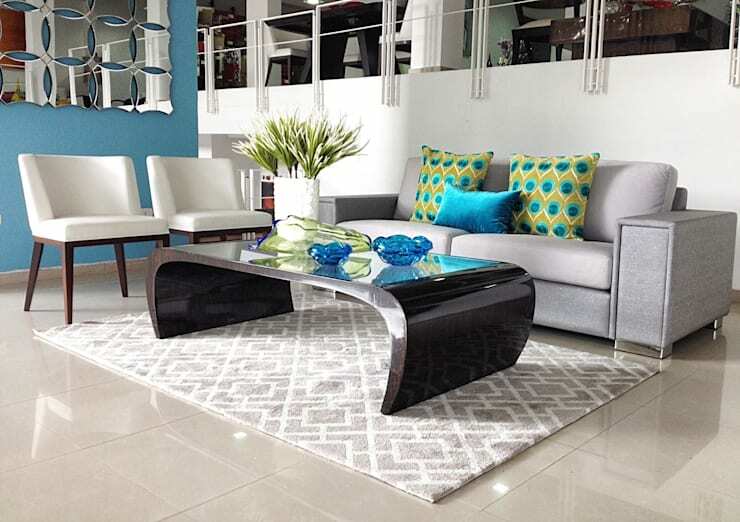 Just when you think you've spotted everything a little out of the ordinary, a bendy coffee table shocks you too! 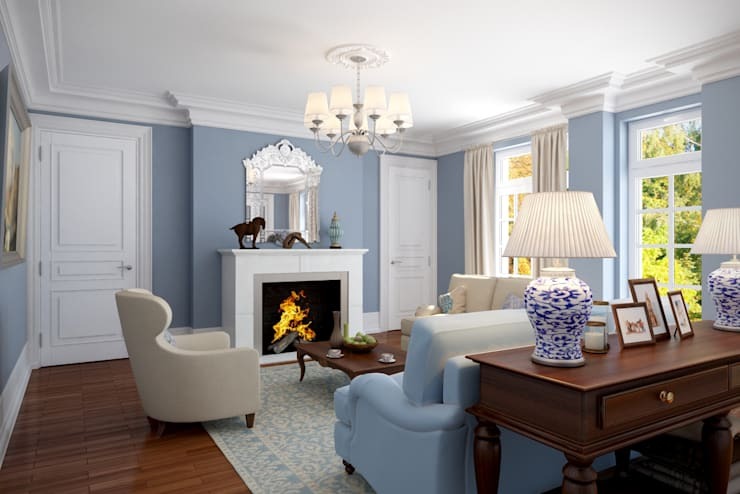 Looking every inch the perfect period home, the pale blue walls, white wood and simple décor all combine to make for an elegant and classy living room. We love the traditional chairs! What a great way to really cordon off a living room area in an open-plan setting! An area rug and some chairs makes for a wonderfully sunny little spot here! 9. All about the furniture. 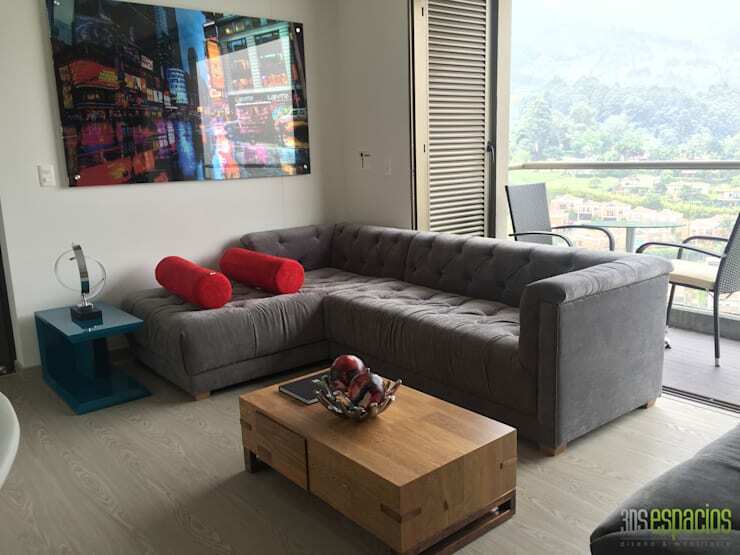 Even a small living room can look incredible, of you focus on the sofa! This grey velvet Chesterfield is really eye-catching and the red cushion draw your attention even more. 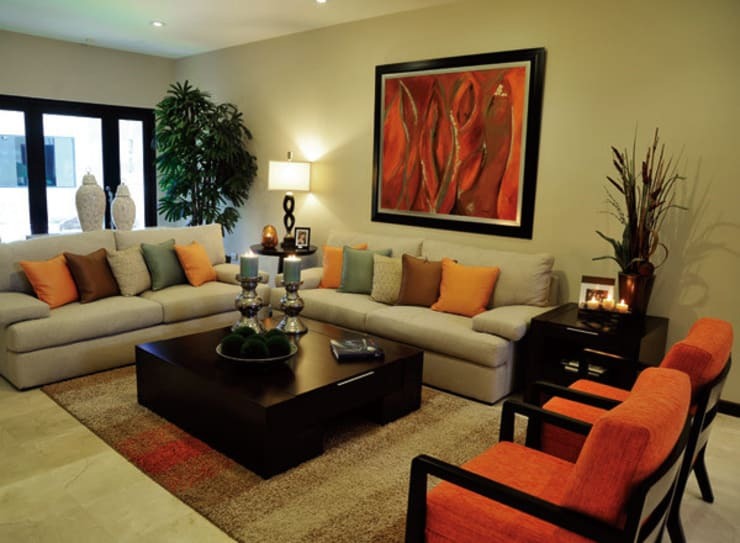 A neutral home can enjoy a good splash of colour in a living room, if you choose tones inspired by nature. The autumnal shades here really work with the beige walls and sofa and add a new dimension of style. 11. Nature in the home. 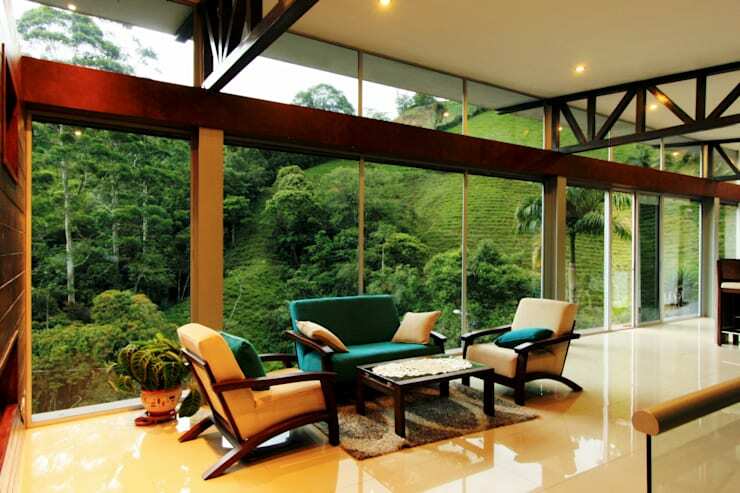 Large houseplants or even indoor trees can lift a space like nothing else and here, we see exactly that happening. 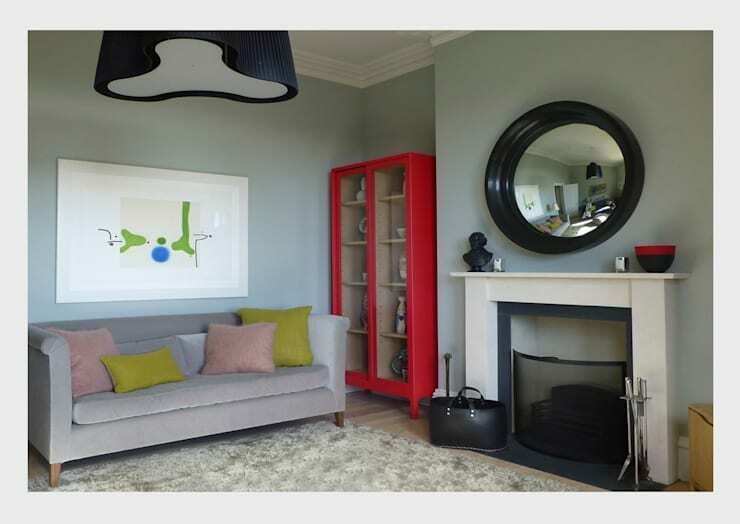 A pared back and softly coloured room looks great with some striking nature included and there's even room for a desk! Decals have really taken off in interior design circles and they make for such unique and personal living rooms! 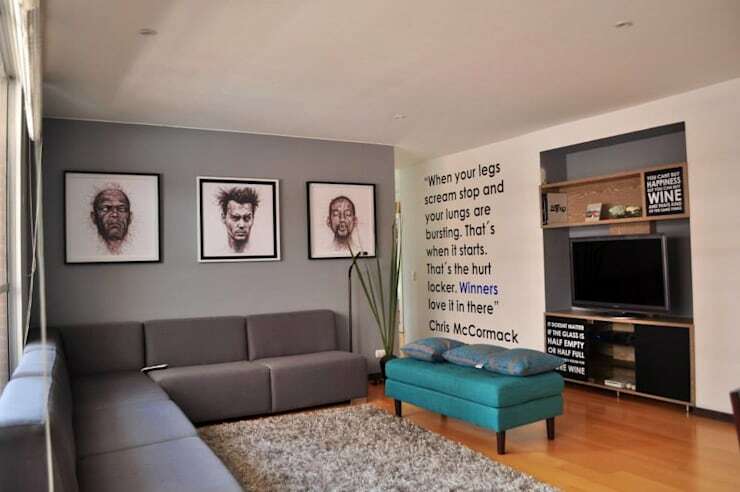 Here, a favourite quote and some impactful art has made a simple space look like a an art gallery! 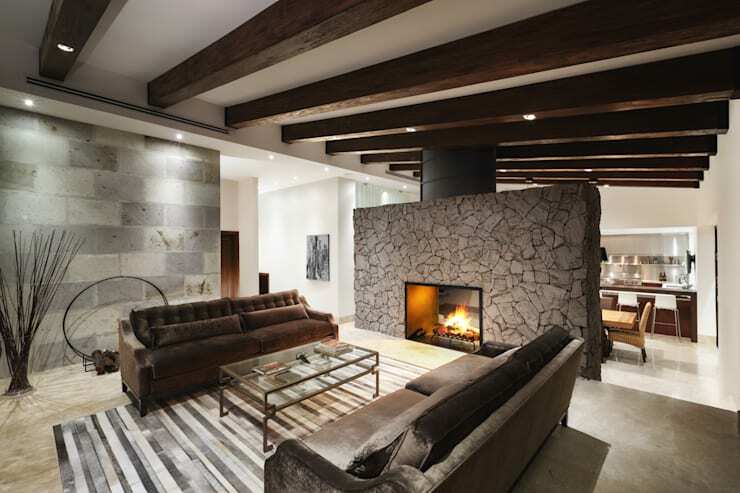 We love this different take on neutrals, with darker tones being used to create a cosy living room that is focused around a striking fireplace! All the natural wood really adds to the snug feel too. You don't need to go overboard with a theme if you like your spaces simple and neat. This living room is heavenly, with a punchy pink accent tone and plenty of natural light. 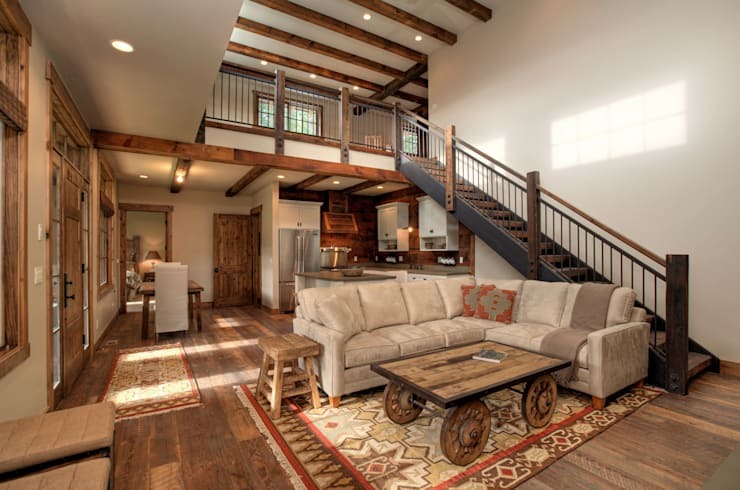 For homes with a more rugged and rustic look, a suitably natural living room is a must! Playing with the tones of the natural wood through the use of beautiful textiles, such as rugs and cushions, really works here! 16. Room with a view! This conservatory-style extension has certainly created an incredible living room area! With uninterrupted views out into the garden and a gorgeous woodburner in place, all that you need is a comfy sofa for fabulous family time. 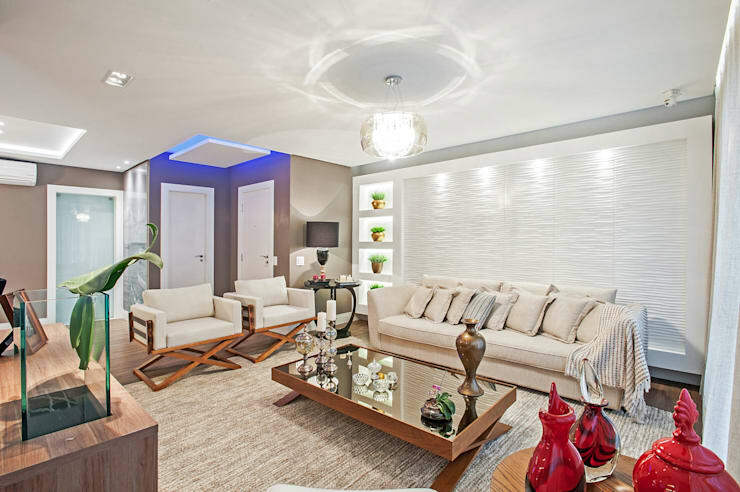 We understand the desire to have a living room that looks and feels luxurious and by choosing fluffy rugs, suede sofas and unusual ceiling lighting, you can capture the aesthetic perfectly! 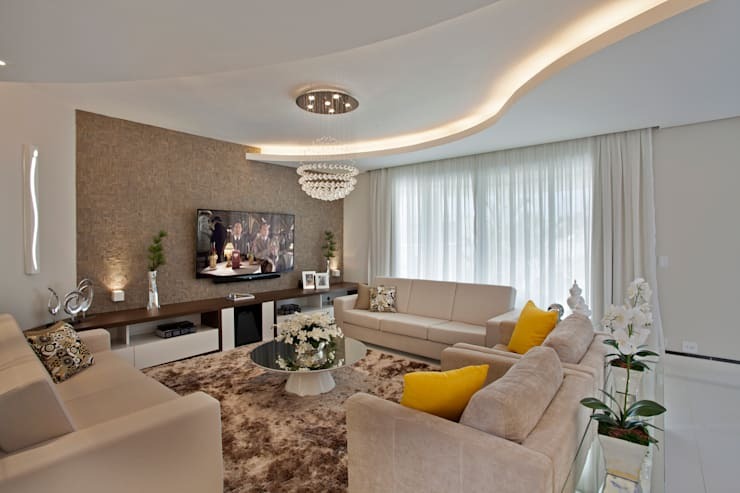 For more living room inspiration, take a look at this Ideabook: How to decorate a living room of only 10m². Which of these styles really appealed to you?